The formation of Iraq’s recent government has to a large extent shaped a new perspective on Iraq’s national identity. The results of the election show that a major gap between Iraq’s political-elite and the rest of the country’s population exists. The former group is polarized across internal and external agendas largely influenced by the support received from either Tehran or Washington. The formation process and appointments made by the new government mirrored the elections’ results; minimizing the power of religious political parties, while increasing the power of and trust in political outsiders and independent candidates. The coming-together of this new government also resonated with the message sent by voters, as nominating nonpartisan and technocrat figures to run Iraq’s long list of policy-needs reflected the population’s desire to see a decline in Tehran’s and Washington’s influence over Baghdad. The new bent of the Iraqi government could be used by Washington to combat Iranian policies that otherwise used Iraq’s resources and institutions to evade sanctions and further it’s agenda in the region, something Trump administration is concerned about with the re-imposition of sanctions. However, these changes might not make Washington’s mission as easy as Trump wishes, since Baghdad views Tehran as a crucial trade and economic partner, in addition to being a military and security ally for religious and geostrategic reasons that would be difficult for Baghdad to alter. Unlike almost every government formed in Iraq over the last 12 years, the recently coalesced cabinet is not overshadowed by Tehran’s attempts to undermine the US interests in Iraq. Even still, the new government cannot be called an ally nor a rival to either hegemonic power. Interestingly, the rapprochement of both Iran-backed and US-backed political powers is likely related to the understanding on both sides of the damage occurred by both nations’ repeated attempts to undermine Iraq’s sovereignty and interference in the country’s delicate domestic policies. Yet, public anger over Iran’s role has been more pronounced, an observation that was reified when a group of Shiite protestors attacked the headquarters of various Iran-backed political parties and paramilitary groups. These groups were the object of such ire, due to their legacy of having drained the country’s budget due to corruption, mismanaged resources and fomented the sectarian divisions that led to the rise of radicalism. 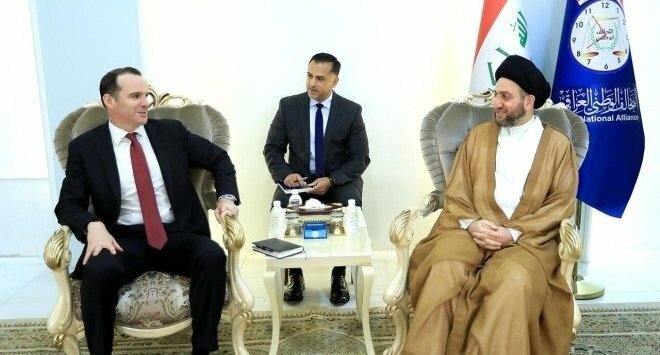 As for the United States, during the cabinet formation process, the US tried to push for a role in the new government through meetings between the US Presidential Envoy to Counter ISIS Brett H. McGurk and several Iraqi parties including the Prime Minister (PM) designate Adel Abdul Mehdi. An increase in US influence within Iraq became a cornerstone of Trump’s foreign policy in the Middle East in order to roll back Tehran’s influence in the region, especially that which remained in Baghdad. Therefore, continued US support to the Iraqi military could be used by the new PM as a leverage to lessen the influence of Iran-backed Popular Mobilization Units (PMUs) in Iraq, which poses a risk to Iraq’s power and sovereignty. Such an outcome is especially prominent as it relates to Iranian sanctions, as Tehran might use the militias to evade these restrictions as it had done prior to 2014 during the tenure of the Tehran-backed PM Nouri Al-Maliki. The US administration has the intention to fight the influence of the Iranian backed militias, and began to do just that by introducing a bill to sanction two Iraqi militias that Washington considers to be deep within the orbit of Iran’s influence. Yet, if Trump overacts, it risks a backlash that may push Iraqis to the side of Iran as these PMUs retain credit for having defeated ISIS. 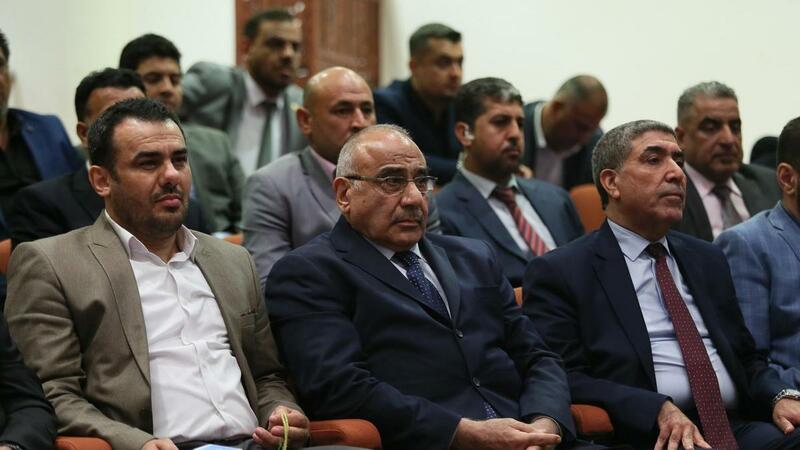 The selection of Borhom Saleh as Iraq’s President and Adel Abdul Mehdi Prime Minister was a rare moment of agreement among Iraqi parties. 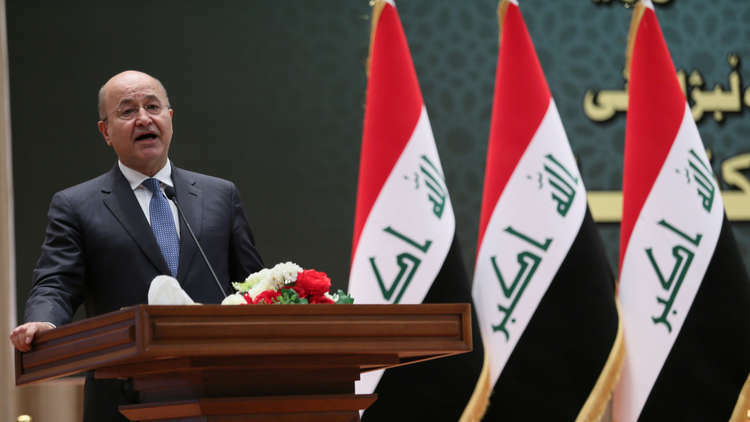 Although Iraq’s former PM Haidar Al-Abadi had good chances to be selected for a second term, the wave of post-election demonstrations and his cabinet’s failure to handle them eliminated his chances of retaining power. His failure was coupled with a mutual desire between Iraq’s top cleric Ayatollah Ali Al-Sistani and Iraq’s largest bloc leader Muqtada AlSadr to choose a PM outside Iraq’s traditional party leadership, particularly the Al-Dawaa. Both new leaders, Saleh and Abdul Mehdi have long experience in managing Iraq’s institutions and understand its internal politics. The new president has balanced and positive relations with both Tehran and Washington as his party, the Patriotic Union of Kurdistan has established balanced relations with both countries for decades, a precedent which President Saleh would be wise to continue. While the selection of Saleh as the president was smooth, filling the PM position proved more difficult as the position exercises the main powers in Iraq, explaining why post-election efforts to fill the position have typically resulted in fierce struggles. Right after the election, Iran-backed blocs formed an alliance to halt Abadi’s being named to a second term and stop an appointment of any PM with the potential to work against Iran’s interests in Baghdad. Although, Al-Sadr and Abadi (first and third winners of the parliamentary elections) tried to form an alliance to control the formation process, neither group managed to claim a clear majority of seats due to members that oscillated between both sides or failed to pick a clear position altogether. This lack of a majority, and the pressure resulting from protests contributed to the rise of Abdul Mehdi as a middle-of-the-road name among the different parties and eventually was determined to be just the right technocrat able to lead Iraq’s government in providing services, jobs, and fixes to the country’s deteriorating living conditions. Additionally, Abul Mehdi’s prior experience as former vice president, oil minister, finance minister, PM candidate in 2006 (an election in which he lost by only one vote) may have helped him gain the trust needed to be successful in this go-around. 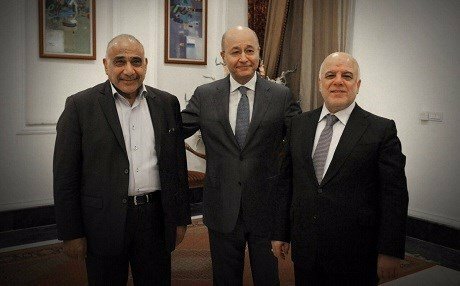 Despite the influence of Tehran and Washington in Iraq, the recent change in the processes of forming the Iraqi government was motivated by several factors, most of which were shifts in Iraq’s domestic dynamics. First, political parties were pressured by the eruption of protests in Iraq’s southern provinces right after surprising elections results that drastically changed the power of Iraq’s incoming parliament. 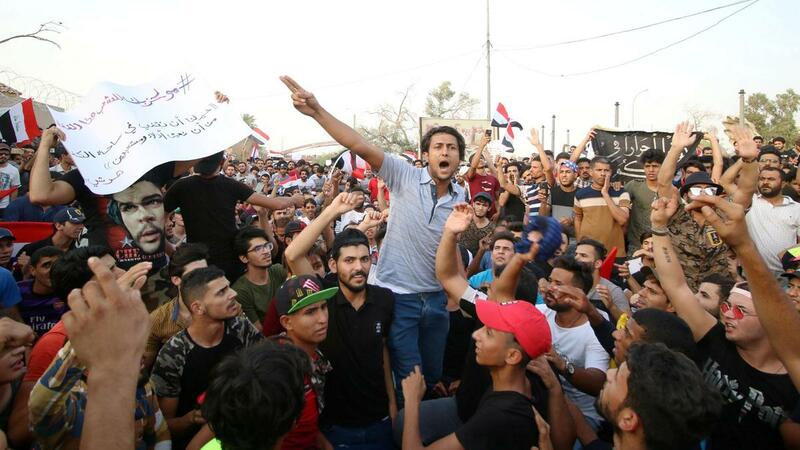 Second, the demise of religious political parties, mainly the Al-Dawaa party, and the rise of new powers forced Iraq’s dominant political and party figures to concede some of its power and listen to the protestors in the street. Third, protestors in the southern provinces refused to be connected to any political power among Iraq’s current status quo, and their challenge to conventional powers (political, tribal and religious) led to the conclusion that technical skills should be considered while making appointments; not merely sectarian and political quotas. Fourth, the nonpartisan identity of Iraq’s new government was cemented due to the winner, Muqtada Alsadr, having grounded his campaign on a promise to fight religious political corruption by insisting to form a technocratic government, a promised supported by Iraq’s top cleric Ayatollah Ali Al-Sistani. While it is not an exaggeration to describe the new government formation as the most unique to have occurred since the United States removed Saddam Hussein in 2003, it would be a quite naïve to assume that this change will end Iraq’s long list of political, security and economic dilemmas. The already tremendously hard mission of the new cabinet has been compounded by the equally tremendous expectations of the Iraqi people. The country has recently won a war against the most brutal terrorist organization in modern history that left at least three Iraqi provinces entirely or partly destroyed, four million Iraqis displaced, and hundreds of thousands of its population unemployed. All of this coupled with a civil war in Syria to the west and secession attempts in Kurdistan to the north that complicated the geopolitical situation in both the Levant and the Gulf region between which Iraq is nestled. For the new government to succeed, it must present a transparent and realistic plan that outlines to Iraqis how it plans to achieve what all previous governments failed to do. Most importantly Abdul Mehdi must continue to enjoy an independence from the influence of Iraq’s rival parties which historically undermined the country’s economy and chances for peaceful coexistence. Also, although much of the parliament previous members were reelected, (preventing total control for Mehdi’s selection of his cabinet), he should insist on forming the new government under one primary condition, a distinct separation of powers between legislative and executive branches; in order to rein in the interference of the country’s corrupt political elite. Almost miraculously, with the defeat of ISIS and retreat of Iran’s role, the new government has come together amidst a widely-felt atmosphere of national unity marked by sectarianism’s decrease to its lowest levels since 2003. This new atmosphere among the masses could be used by Iraq’s new leadership to pump Iraq’s economy, which is experiencing recovery due to the increase of oil prices and the planned spike of crude production in 2019. Thus, the new PM can use this as another rare opportunity to attract investments and the educational cadre of Iraqi expatriates in the neighboring countries. The demise of religious parties’ influence over Iraq and emergence of domestic conditions that reinforced state sovereignty in the face of Tehran and Washington provides a historic opportunity for PM Abdul Mehdi to regain Baghdad’s regional role and lift Iraqis from poverty and insecurity. Yet, both Iran and the US seem determined to maintain a role in Baghdad even though none of the new leaders or even blocs’ leaders have challenged Iran or the US. McGurk’s meetings with Iraqi parliamentary blocs during the formation process made Washington’s insistence crystal-clear. Similarly, threats made by Iranian-backed militias in Iraq, and the arming them with ballistic missiles by Iran’s IRGC have served as Tehran’s signals that it would not easily give up its influence in Iraq. Despite Tehran’s and Washington’s bitter competition, the new cabinet has to work as a crisis government to deal with Iraq’s economic problems and reconstruction plans. At the same time, it should prepare the country with a long-term defense and economic plans, a task that seems possible given the widespread support the new government appears to be receiving (at least for the time being) from the Iraqi street.